Killings: Be patient, my security chiefs racking their brains, says Buhari – Royal Times of Nigeria. 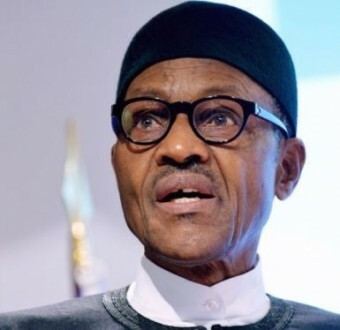 President Muhammadu Buhari, on Wednesday, urged Nigerians to be patient with him as his administration made efforts to tackle ongoing killings in parts of the country. A statement by his Senior Special Assistant on Media and Publicity, Garba Shehu, quoted the President as saying this while condemning killings of many people, including a district head, in and around Gandi village in Rabah Local Government of Sokoto State by bandits. He also assured Nigerians that their security is receiving the greatest attention from this administration and there is no compromise in that commitment. The President said his government would no longer tolerate violence against innocent Nigerians. He threatened that any attempt to try his government’s will would be met with equal force. The President also warned that his administration will not allow any group of barbarians and criminals hold the country hostage and destroy life without consequences. He extended his condolences to the government, families of the victims and the people of Sokoto State at large over what he called incredible loss of lives at the hands of the enemies of humanity. He assured them that the Federal Government would give all possible assistance to the state in dealing with the tragic incident.